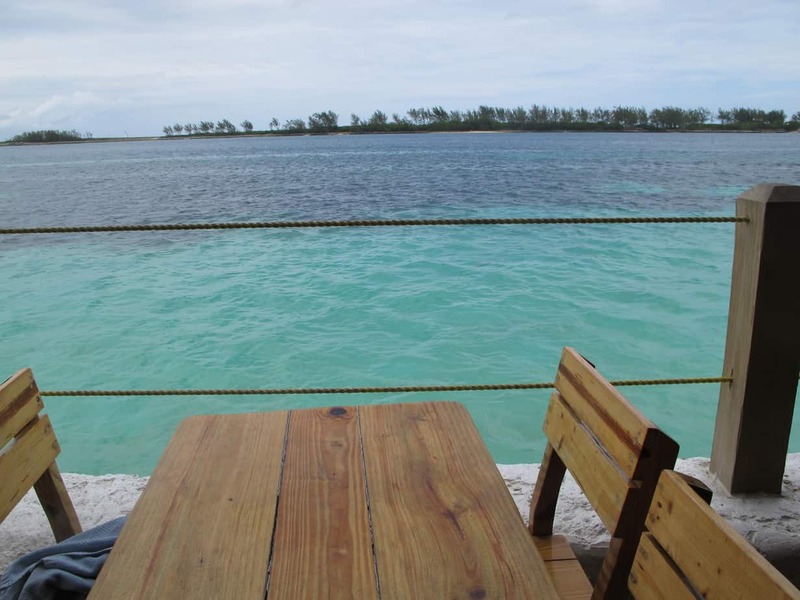 Confession: I was going to write a post on the best way to spend a cruise stopover day in Nassau, but you can see where my priorities lie as half the post was about all the different cocktails I had! 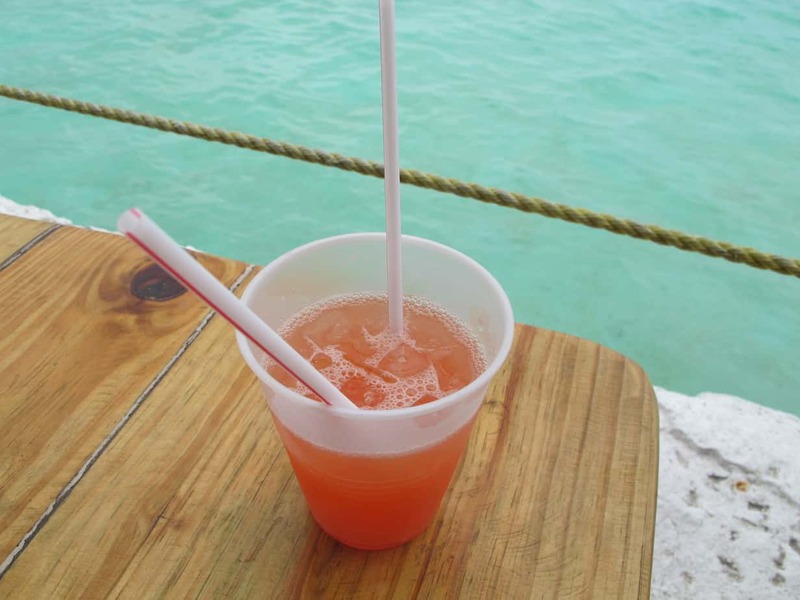 Being on an island famous for Rum, Nassau is home to a lot of colorful and beachy cocktails, most famously the “Bahama Mama” (a rum, coconut rum, grenadine, orange juice, pineapple juice, sometimes butterscotch concoction!). 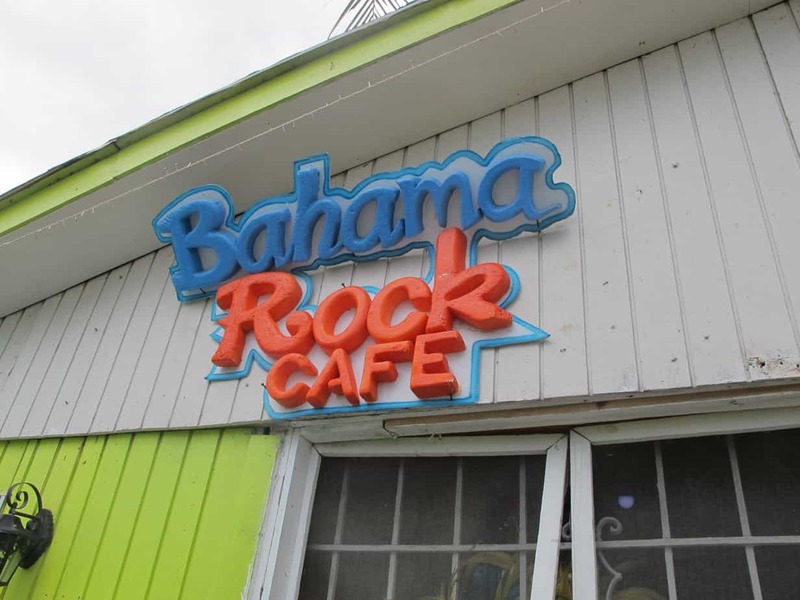 My top two places to drink/eat/party on Nassau are the Bahama Rock Cafe and Fat Tuesday. 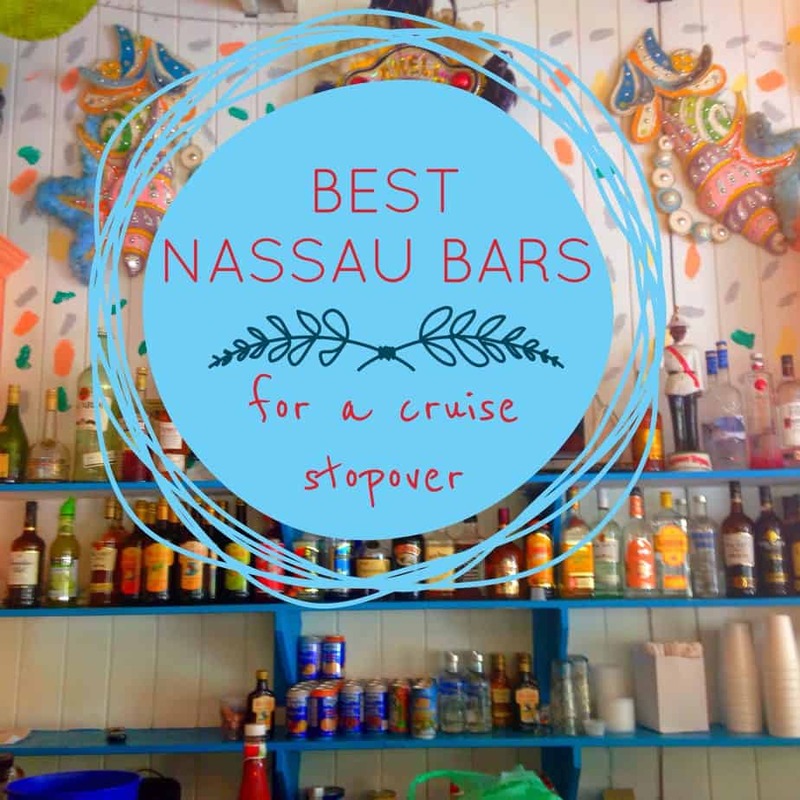 Keep in mind these are the best Nassau bars for a cruise stopover tourist (only on the island for one day), so my main factors are cheap prices and accessible locations, for which I give both bars 10/10. Head to Bahama Rock Cafe first, in the afternoon. 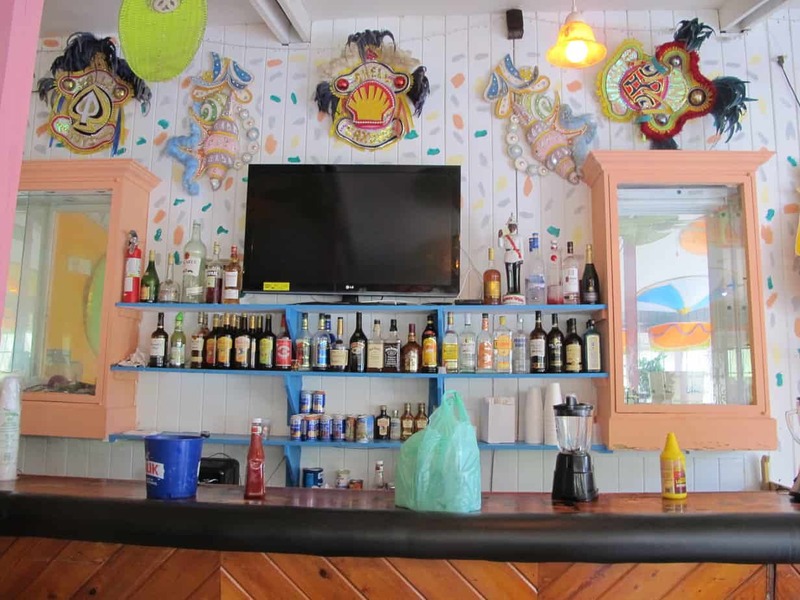 It has indoor seating as well as a colorful patio with a tiki bar and umbrellas. 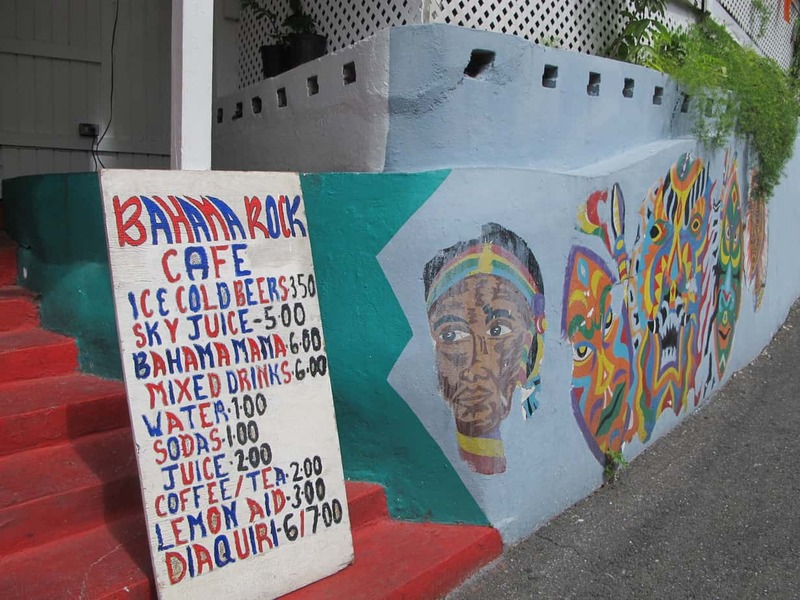 Best, the Bahama Rock Cafe location is ideal for a break between sightseeing, as it is located at the top of the Queen’s Stairs and right next to Fort Fincastle, the highest point on the island. 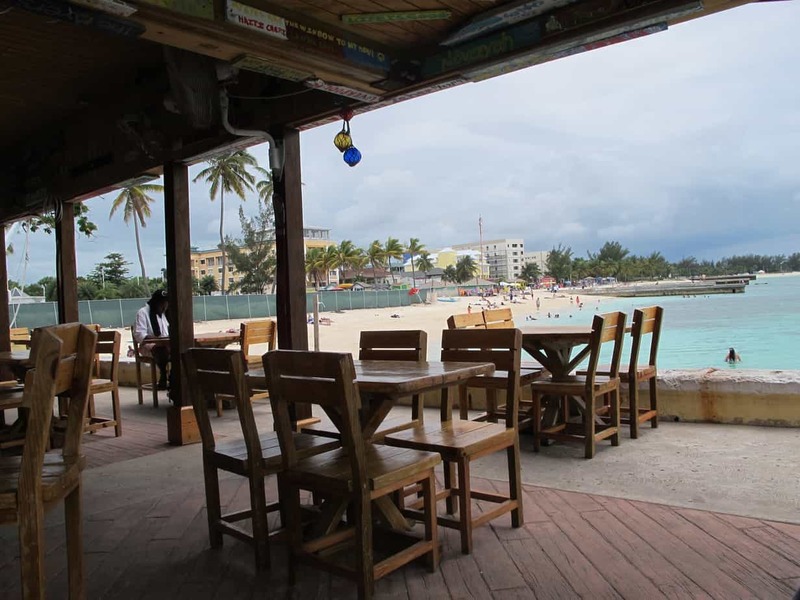 Also, because it is remote from the main street of Nassau, this cafe/bar is a well kept secret! It won’t be too crowded or commercial and will be full of plenty of locals. It was only 11am when we found ourselves here, but we celebrated with a daiquiri and a pina colada to get into the island life. Both drinks were only $6, which is an amazing deal, especially considering how big they were. I would bet you this is one of the cheapest places to get a drink on the island. The cafe also serves sandwiches and seafood, and I’ve heard the conch fritters are out of this world (not gluten free unfortunately). If you’re looking for an authentic place to settle down with some food and drinks for a bit, this is the place. 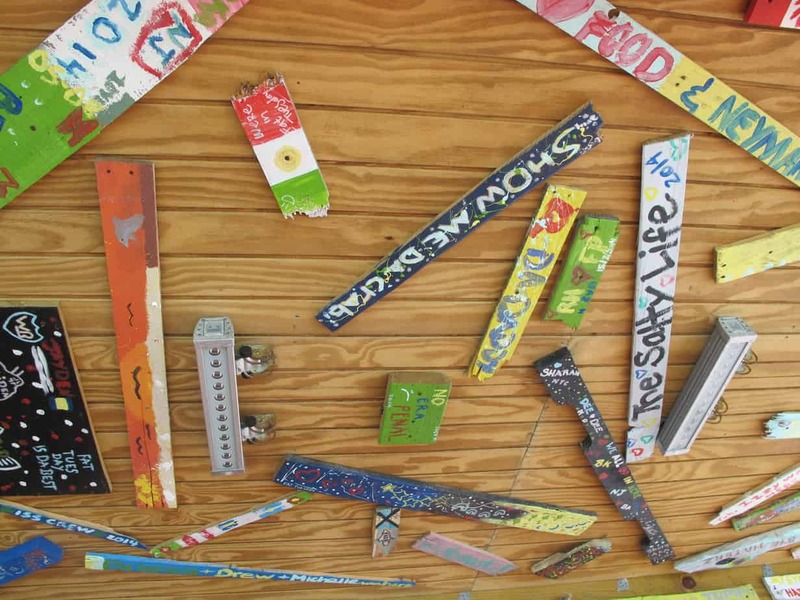 It’s locally owned and run by some very chill and friendly Bahamian men. We had a lovely talk with the owner as he blended up our drinks, and it turned out he’d been to Ohio before (small world!). I also ran into some fellow Michiganders drinking Bahamian beer on the patio (smaller world!). Apparently Fat Tuesday is a chain, but as a very-much-Northerner, I had never seen one before. 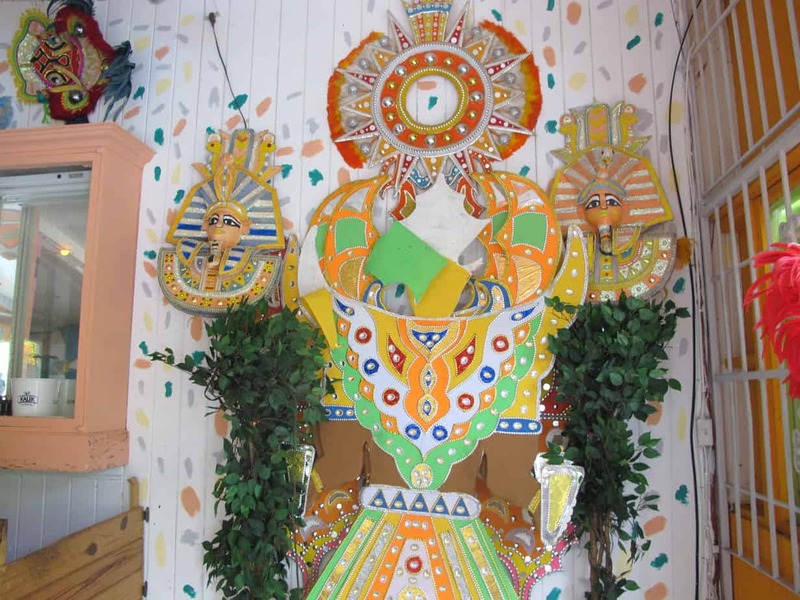 The chain originated in New Orleans but the owners of the Nassau Fat Tuesday have taken the atmosphere into their own hands and Bahama-fied it. I mean look at those views…. You’d be paying top $$ most other places in the world to have a meal with that view but here you just walk right in. Fat Tuesday is located just a short walk down Bay street (which briefly turns into Marlborough St) from the cruise port. 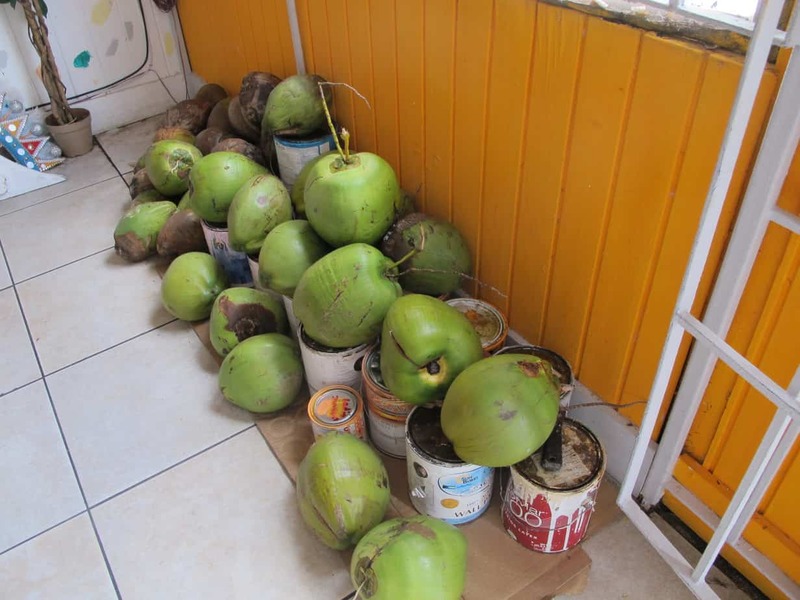 It is also right next to Junkanoo beach, so super convenient. And it has some amazing deals!!! Every customer gets a free sample card when they arrive at Nassau’s Fat Tuesday or enter Junkanoo Beach (there’s a reason their website claims “SOON TO BE FAMOUS”). The sample comes in the form of a small shooter of any of their massive daiquiri flavor options (and remember the drinking age here is “18”!). We also would recommend the Bahama Mama drink, obviously super popular in the Bahamas and very tasty and generally not ridiculously strong (UNLIKE the daiquiris). There is also a buy one get one free daiquiri special on Tuesday nights and I believe there are other deals (such as women get one free etc) other days of the week, but they aren’t posted on the website, only at the actual location. If you’re in the mood for something stronger, or even looking for some Bahamas night life, this is the place to go. We went back to dinner on our cruise ship as it was fancy and included, and then ventured into Nassau afterwards (around 8-9pm). Nassau is deserted of tourists at night. The Bahamas aren’t entirely safe for tourists so this was a little creepy, but luckily we ran into a fun couple from our cruise also on their way out for the night so we joined forces. Whatever you do, travel in a group. 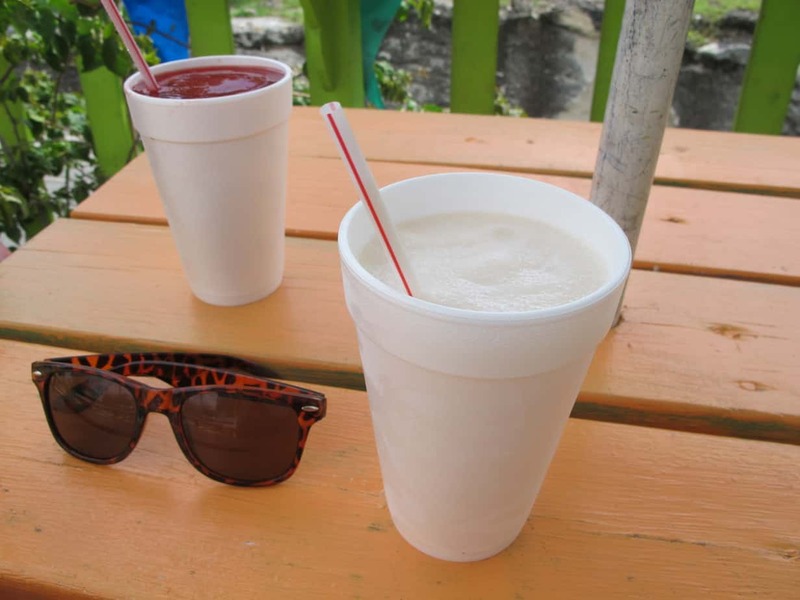 We headed to Fat Tuesdays for their buy one get one free daiquiri special (We recommend the Octane, their strongest and most popular, as well as the Hurricane, Mojito, and Bellini). At night, the place is filled with locals drinking and dancing and hanging out and it is truly a much more authentic experience than the tourist stops you can do during the day. 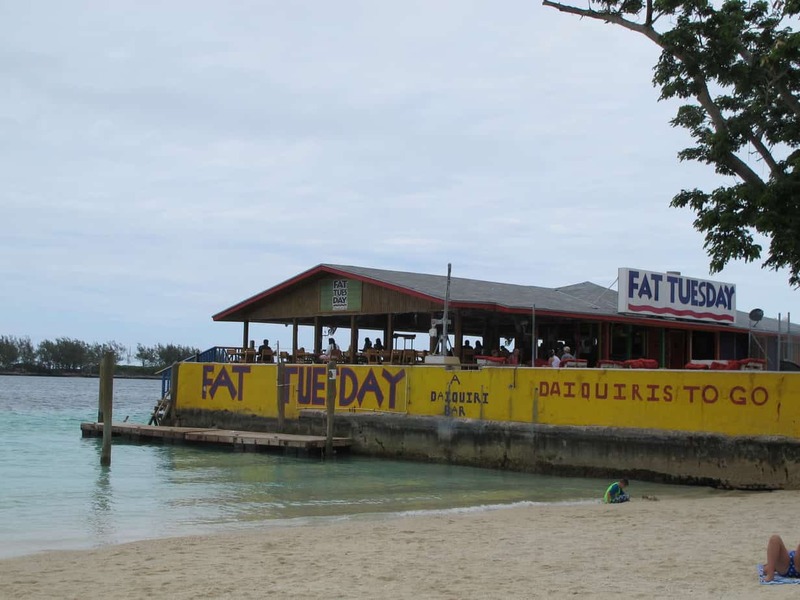 If you want a nightlife experience during your cruise stopover in Nassau that is safe, cheap, and good enough to be where the locals go, then try Fat Tuesday!